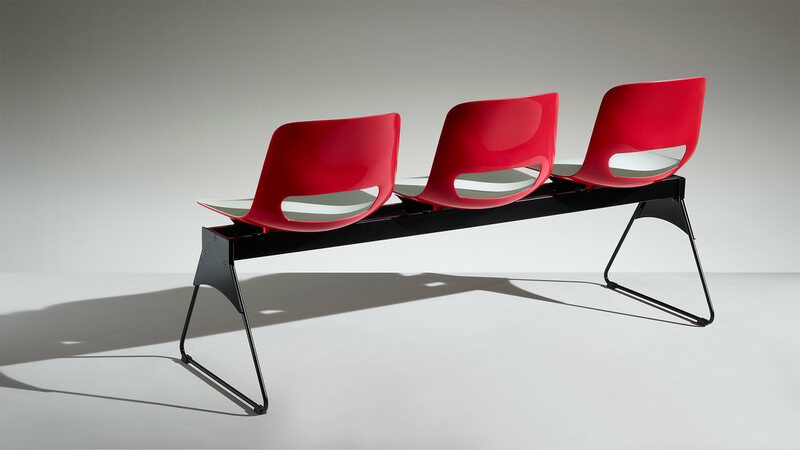 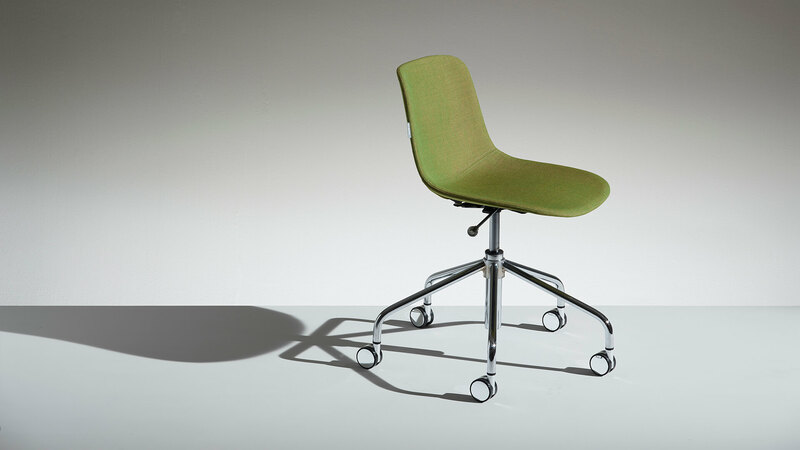 Multi-purpose seat characterised by lightness, comfort, an essential design and an exclusive two-colour finish. 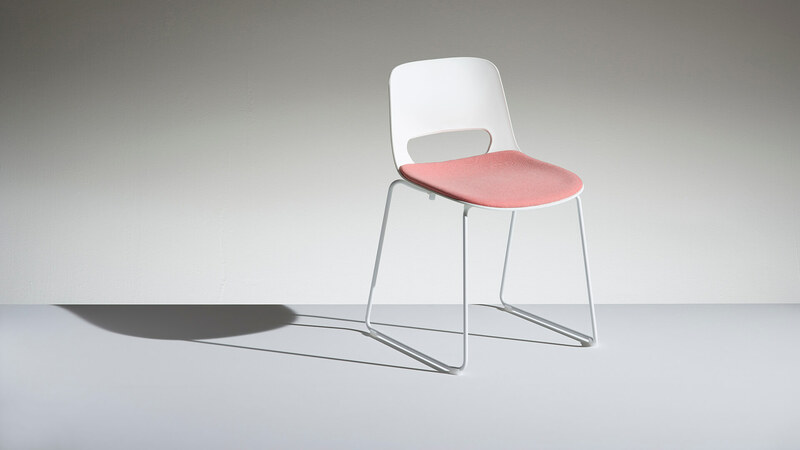 Featuring a soft, welcoming shape, that adapts well to the movements of the body, it responds to the needs of a wide range of contexts, such as contract seating, offices, public areas and contemporary residential spaces. 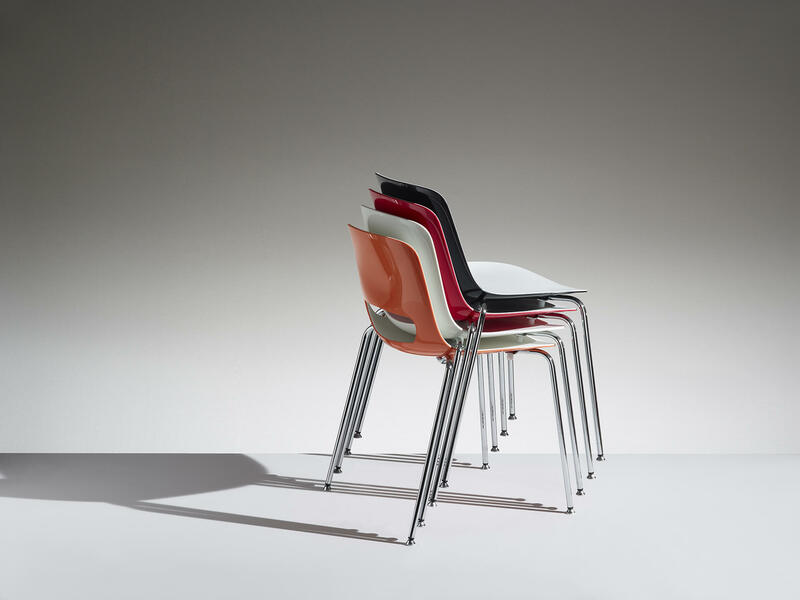 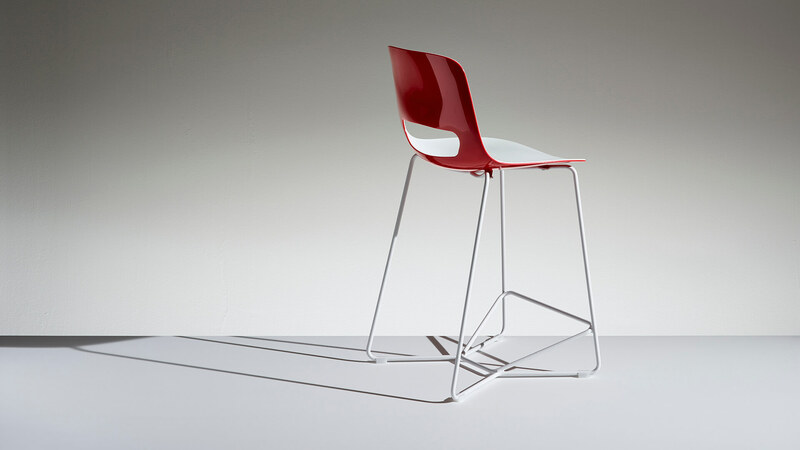 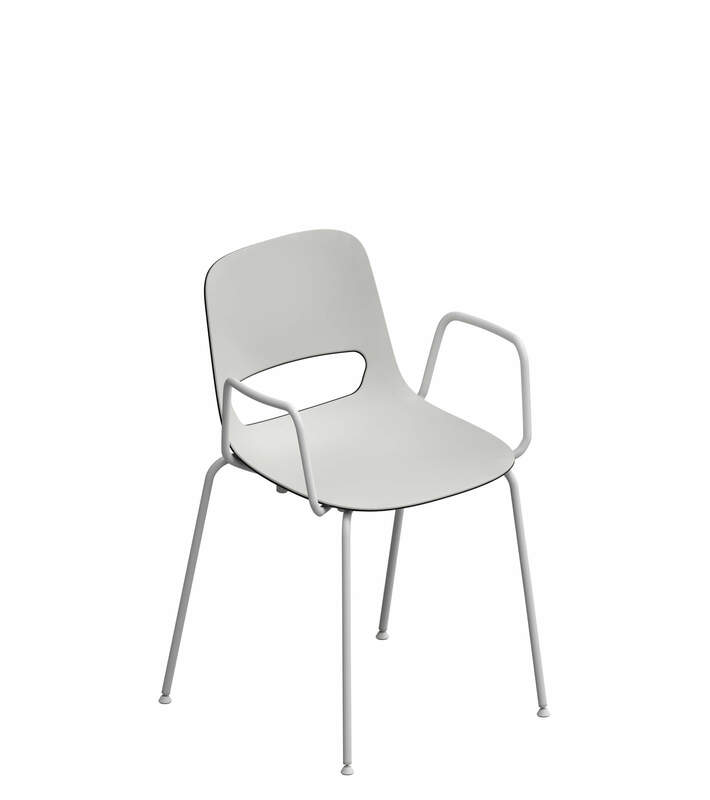 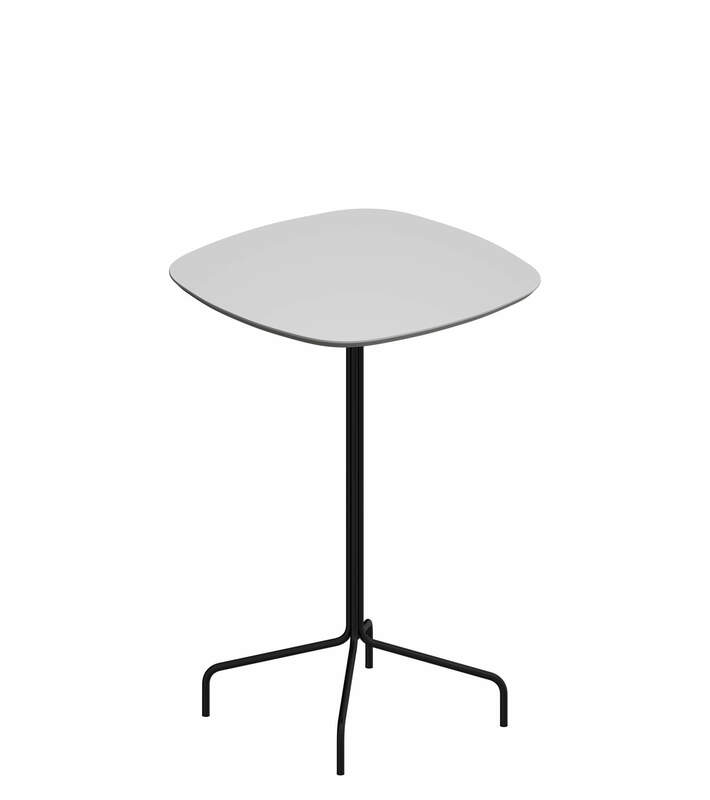 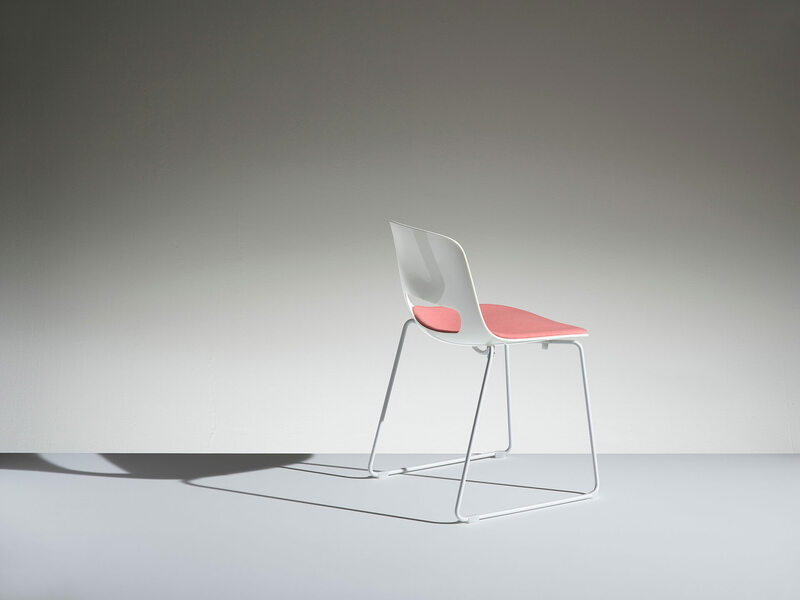 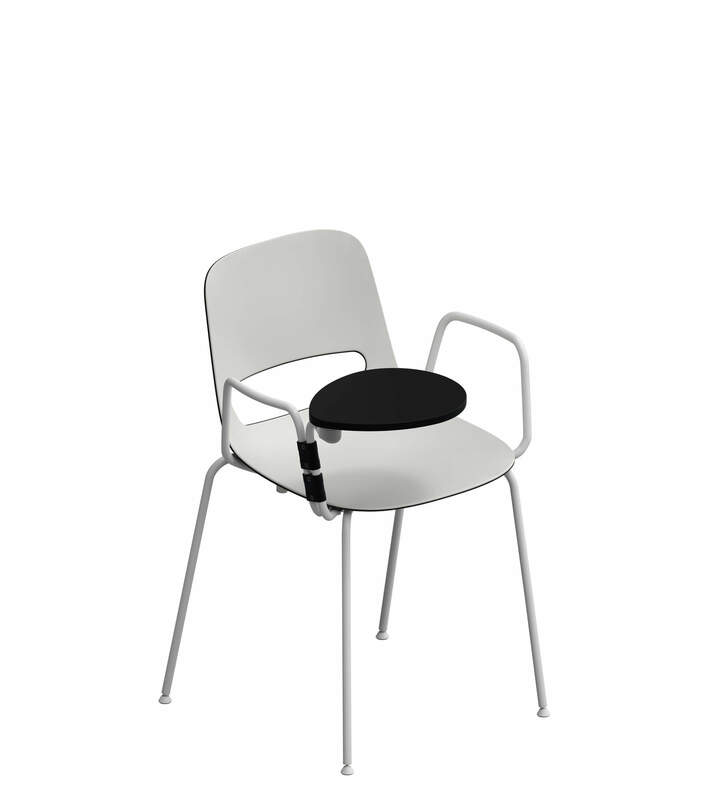 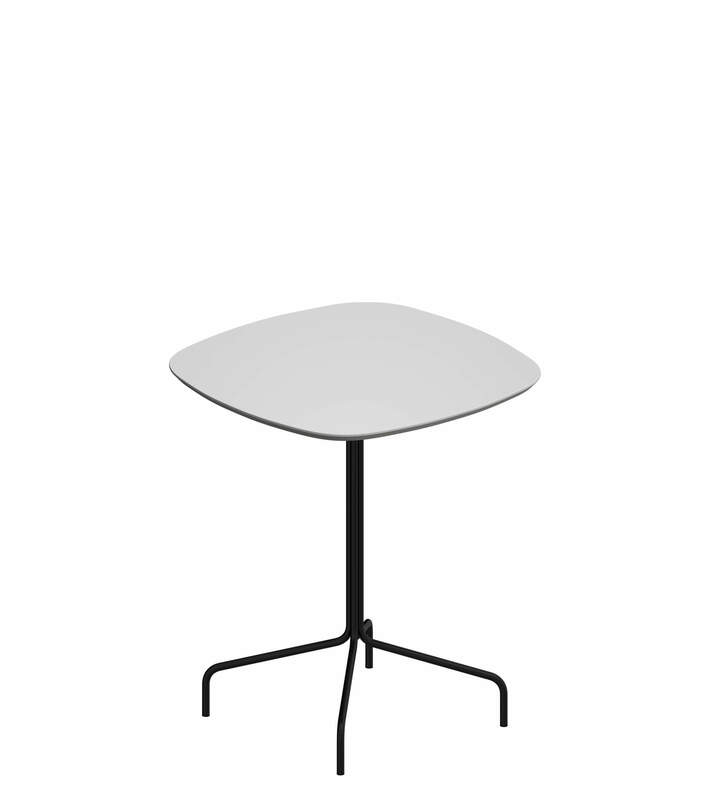 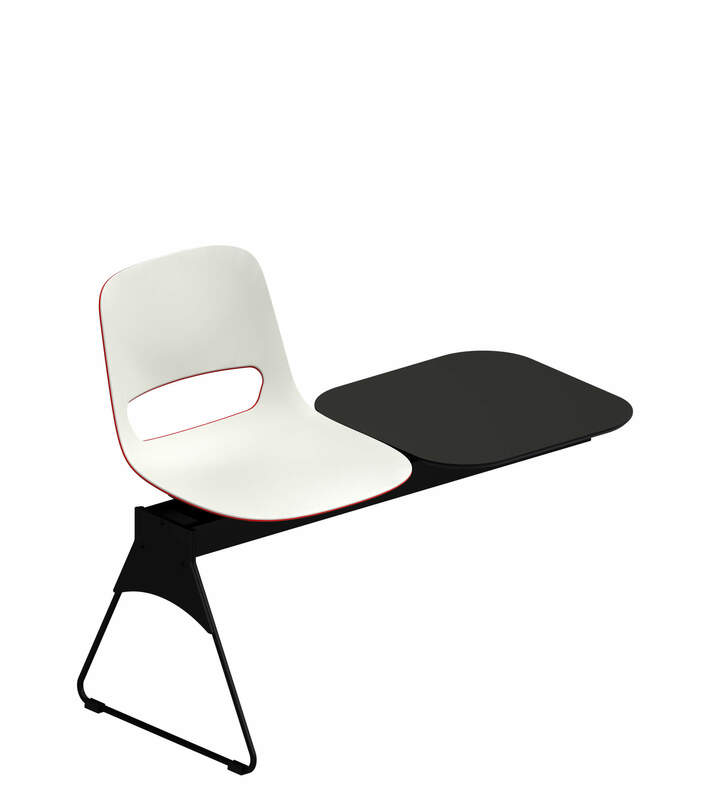 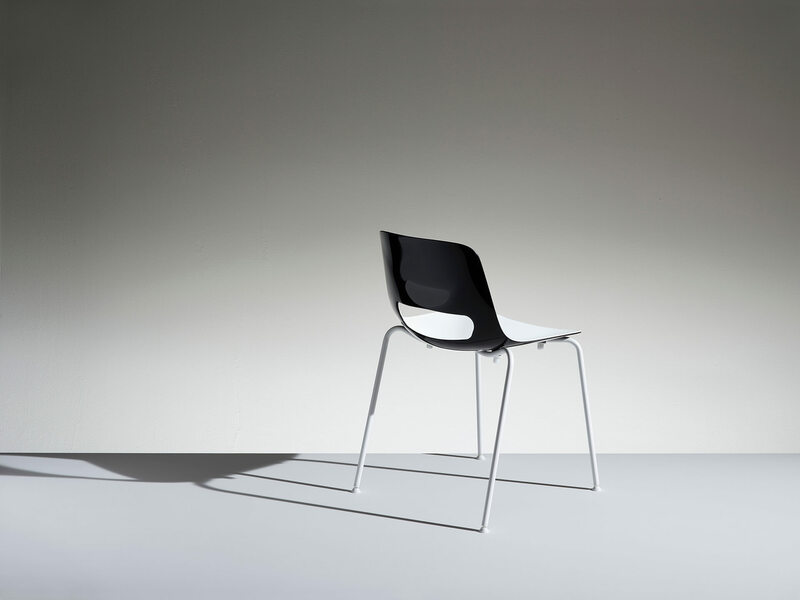 Offered in the exclusive two-colour version, with carefully designed colour combinations, the polypropylene single body structure has a differentiated surface finish, with a non-slip matt finish on the seat side and a polished external finish. 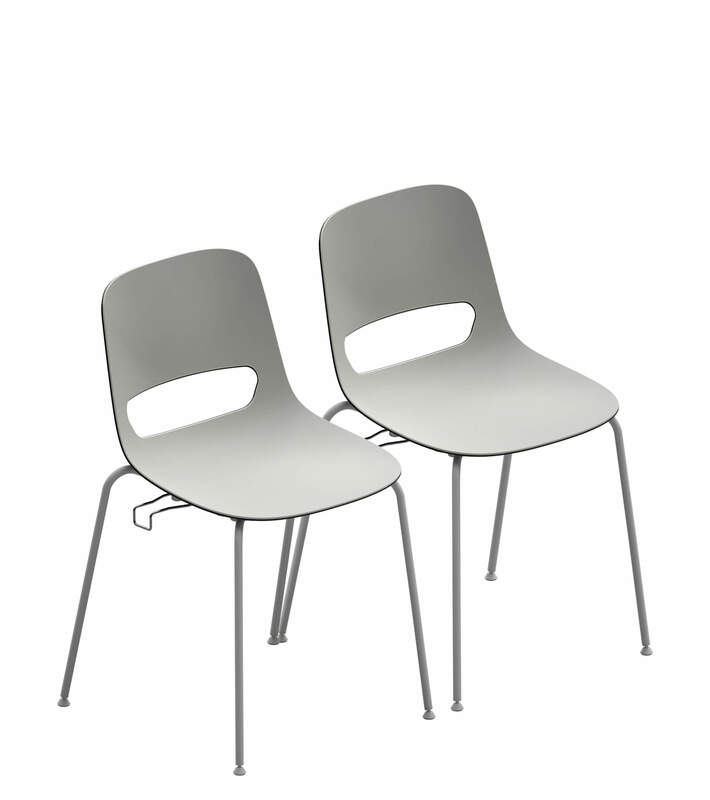 Also available in a padded and fabric covered version. 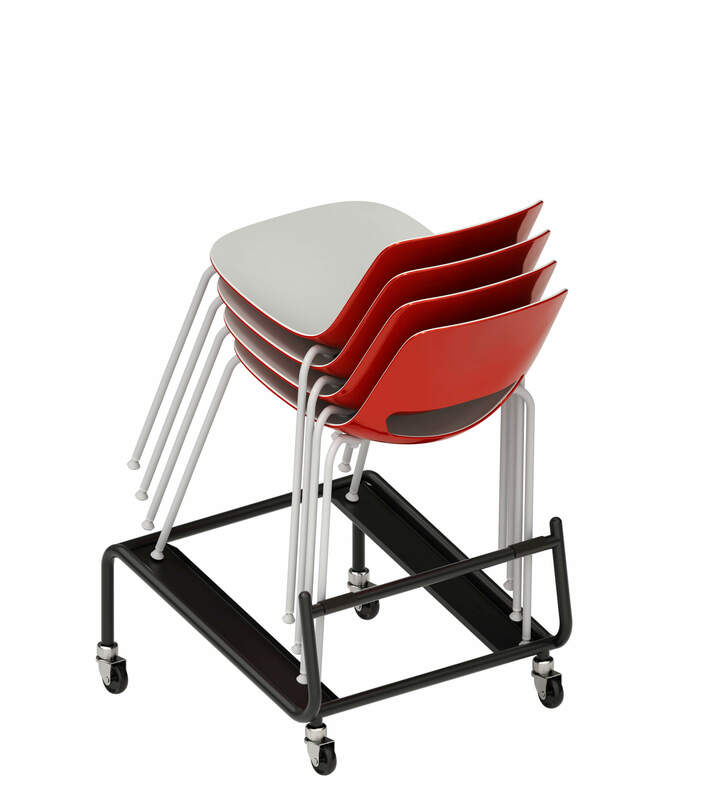 Designed to facilitate movement and storage operations, using the special dolly provided, its extreme lightness (just 5 Kg) makes it easy to stack, both in the four-legged version with or without arms and writing tablet, and in the version on sled base without arms. 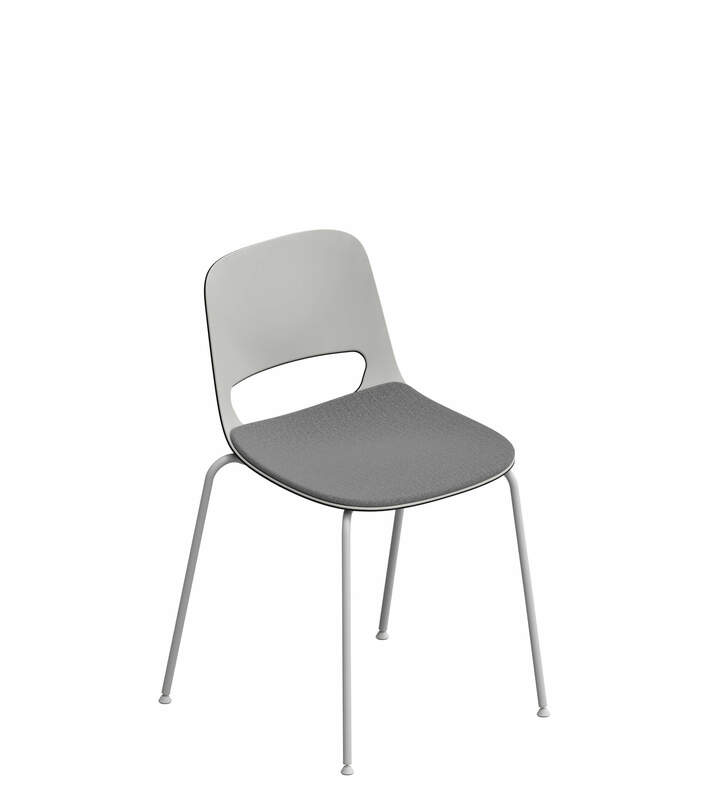 It satisfies a great variety of project needs, by means of an articulated range of versions: fixed seat on four-legged or sled base, with or without arms; swivel chair on castors, with or without arms; stool on sled base; beam-mounted seats. 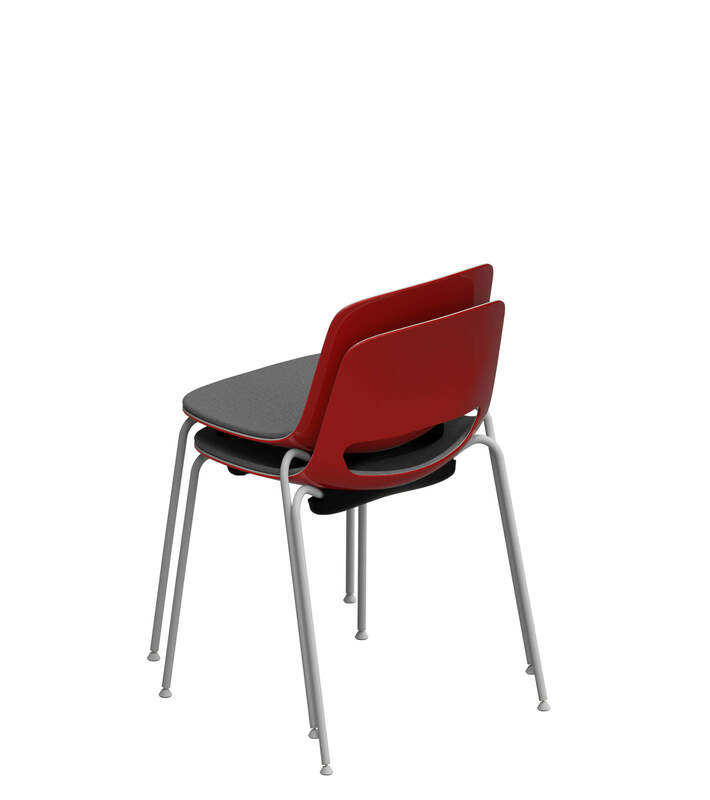 VersionsIt satisfies a great variety of project needs, by means of an articulated range of versions: fixed seat on four-legged or sled base, with or without arms; swivel chair on castors, with or without arms; stool on sled base; beam-mounted seats.